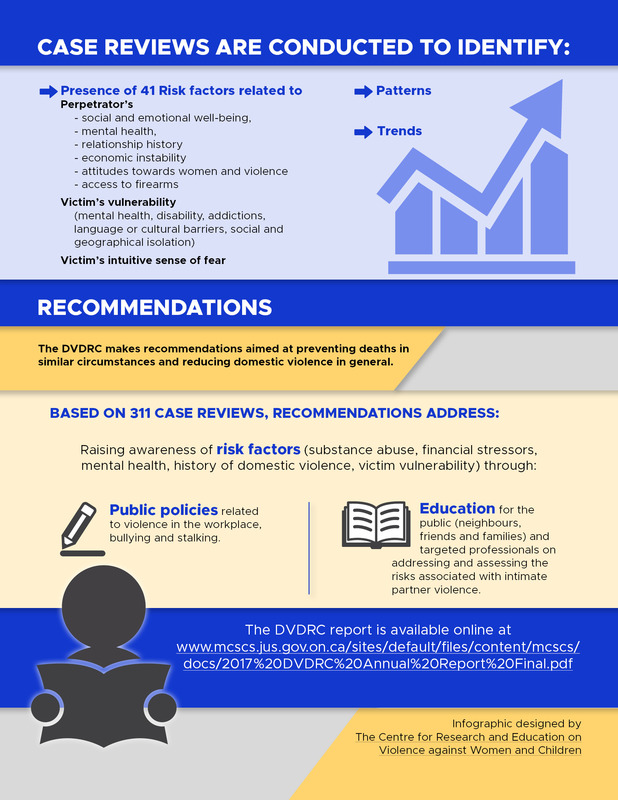 Domestic homicides account for 1 in 5 murders in Canada. 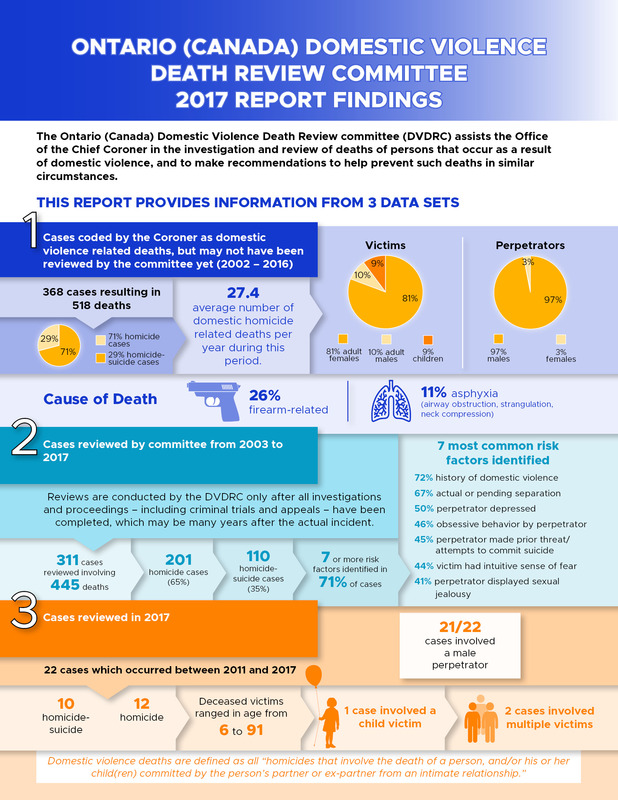 Each province and territory is involved in learning from these deaths through domestic violence death review committees, coroners' investigations, inquests, inquiries or research studies. 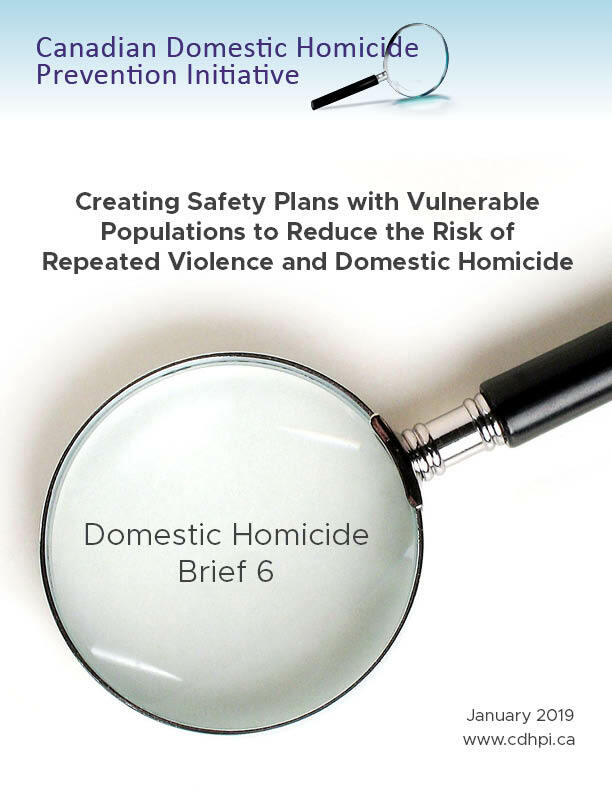 The Canadian Domestic Homicide Prevention Initiative (CDHPI) is a knowledge hub for this information to help inform promising practices in homicide prevention. 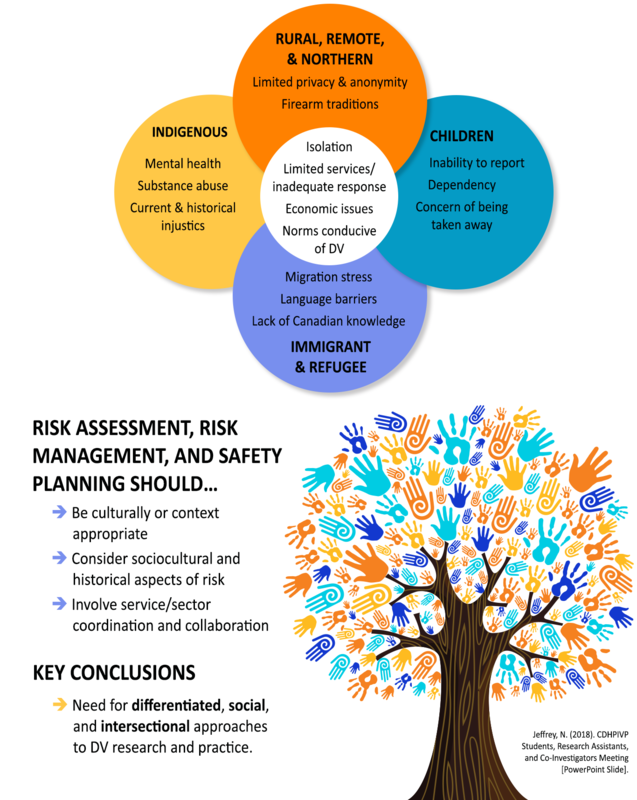 In particular, the CDHPI is focused on identifying emerging risk assessment, management, and safety planning strategies. The CDHPI has produced a clickable map to highlight this work in each jurisdiction. 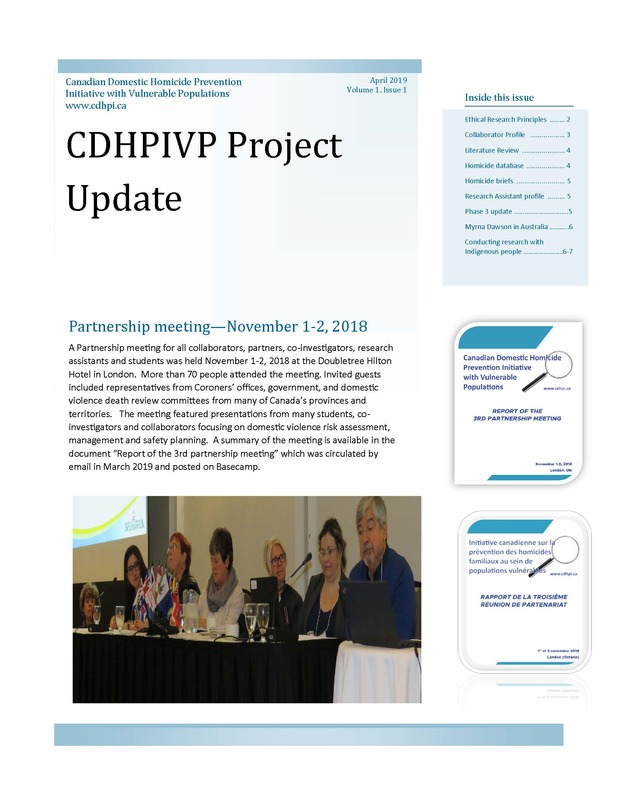 The Canadian Domestic Homicide Prevention Initiative with Vulnerable Populations (CDHPIVP) is a five-year SSHRC partnership grant (2015-2020) that explores the unique needs of Indigenous, immigrant and refugee, rural, remote, and northern communities, and children exposed to domestic violence.